Turn your stray socks into adorable dolls! With a sock or two, some thread, needles and stuffing, you can create delightful softies brimming with character. In Stray Sock Sewing, you’ll learn step-by-step how to create eight different sock creatures, from the Long-Eared Mini Doll to the Lucky Cat and the Punk Zebra. And a gallery of dozens of other sock doll creations will give you the inspiration to try your own designs as well. 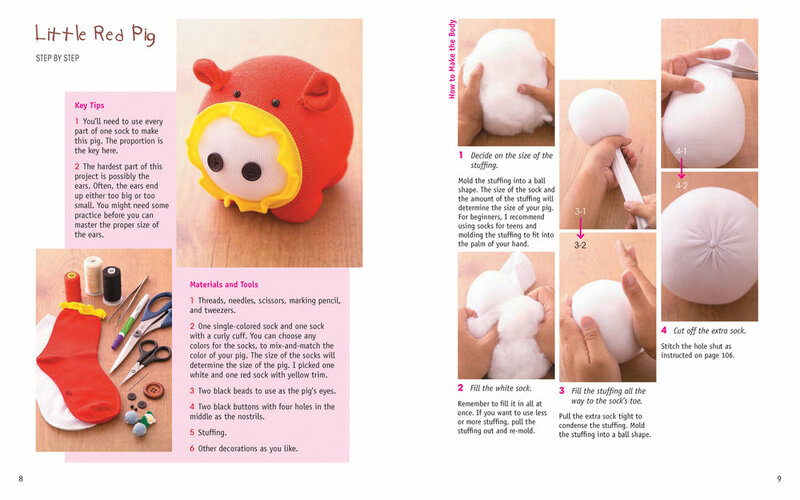 So gather up those socks of all different sizes and colors and start creating your own adorable sock dolls.